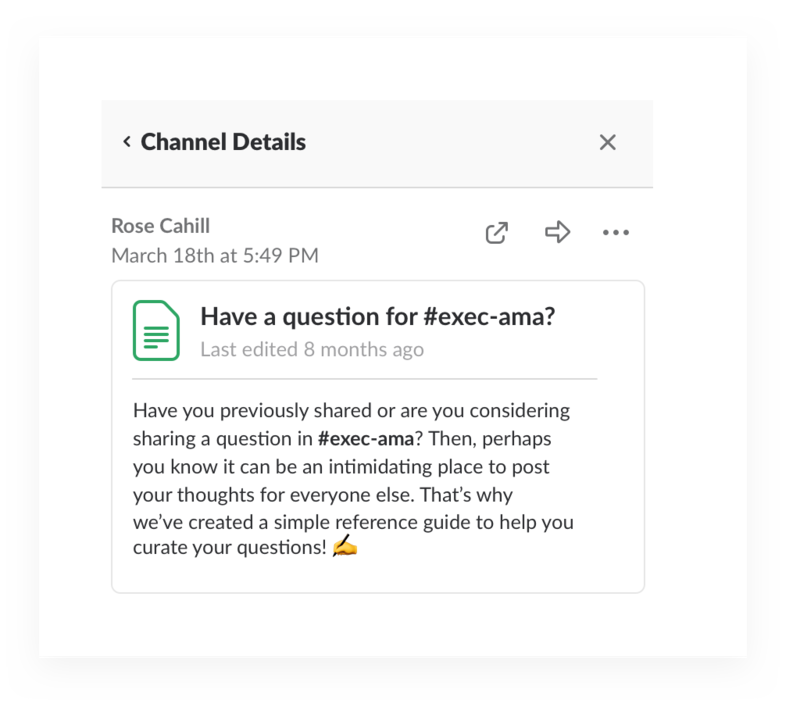 Build a space for employees to ask questions freely of executive staff, who can read the channel and answer questions as they come in. 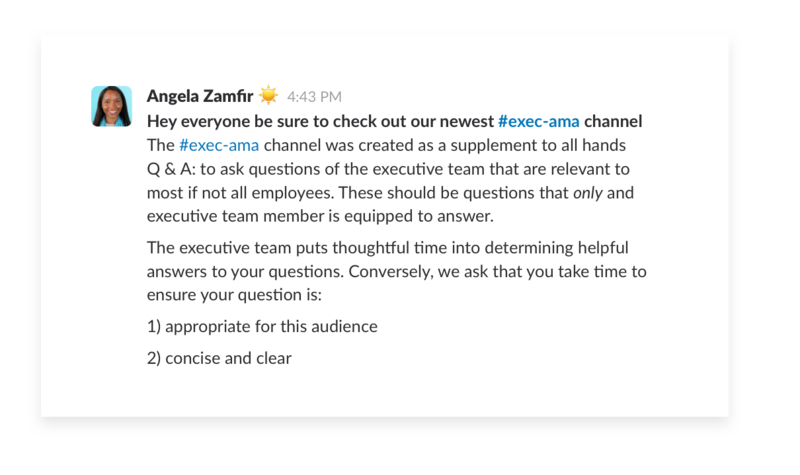 Create a new channel called #exec-ama. Announce it in channels with your largest membership and encourage everyone to join. 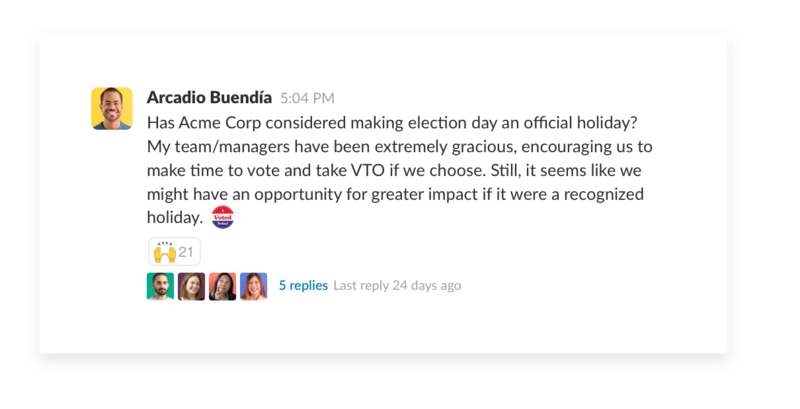 Post a policy document to help guide employees in formating their questions, and pin it to the channel. 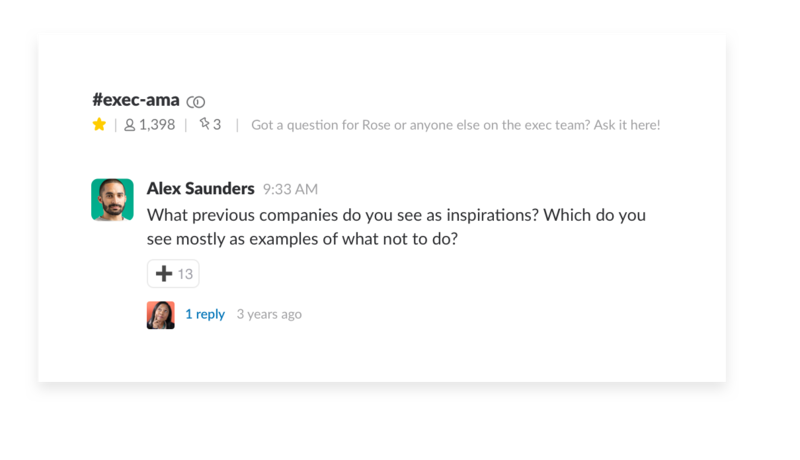 Set a helpful tone with timely and thoughtful answers from your executives. 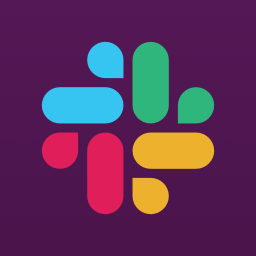 Bring a bit more clarity and transparency to your entire team.